Looking for book club ideas? Find some favorite titles, below. For additional possibilities, see these bibliographies. Buffalo Calf Road Woman: The Story of a Warrior of the Little Bighorn, Rosemary Agonito and Joseph Agonito. TwoDot, 2006. Perma Red, Debra Magpie Earling. Blue Hen Books, 2002. Rima of the Weeds, Deirdre McNamer. Harper Perennial, 1992. Winter Wheat, Mildred Walker. First edition, 1944. Reprint, University of Nebraska Press, 1992. Breaking Clean, Judy Blunt. Random House, 2002. Girl from the Gulches: The Story of Mary Ronan, ed. Ellen Baumler. Montana Historical Society Press, 2003. Grandmother’s Grandchild: My Crow Indian Life. Alma Hogan. Ed. Becky Matthews. University of Nebraska Press, 2000. Long Way Home: Journeys of a Chinese Montanan., Flora Wong, and Tom Decker. Sweetgrass Books, 2012. My Hutterite Life, Lisa Marie Stahl. Farcountry Press, 2003. When the Meadowlark Sings: The Story of a Montana Family, Nedra Sterry. Riverbend Publishing, 2003. Full-Court Quest: The Girls from Fort Shaw Indian School, Basketball Champions of the World, Linda Peavy and Ursula Smith. University of Oklahoma Press, 2008. Montana Women Homesteaders: A Field of One’s Own, ed. Sarah Carter. FarCountry Press, 2009. Photographing Montana, 1894-1928: The Life and Work of Evelyn Cameron, Donna M. Lucey. Knopf, 1990. Pretty-Shield: Medicine Woman of the Crows, Frank Linderman. 1932. Reprint, University of Nebraska Press, 2003. Another Attempt at Rescue, M. L. Smoker. Hanging Loose Press,2005. Elk Thirst, Heather Cahoon, University of Montana, Merriam Frontier Foundation, 2005. The Ghost Openings. Sheryl Noethe. Grace Court Press, 2000. Except Nature. Sandy Alcosser. Graywolf Press, 1998. 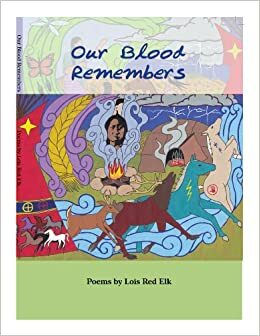 Our Blood Remembers, Lois Red Elk. Many Voices Press, Flathead Valley Community College, 2011. When We Wake in the Night,Tami Haagland. WordTech Communications. 2012. What I Keep, Jennifer Greene . Greenfield Review Press, 1999. Winter Smoke, Minerva Allen. Florens Hill County Printing, 1996.